Car Crash Lawyers, Minot, North Dakota, Larson Law Firm P.C. Every day, millions of drivers take to the roadways of North Dakota. Some travel to and from work, while others hit the highway for travel adventures. Idealistically, each of these drivers operate their vehicles in a manner that keeps them and those around them safe. Unfortunately, the reality is that far too many of these drivers act with negligence and recklessness. When their actions lead to car crashes, innocent people are severely injured or killed. The legal team of Larson Law Firm P.C. has handled numerous car accident cases, resulting from such circumstances as driver negligence, auto part defects and unsafe roadways. Our experienced North Dakota car wreck attorneys have a professional reputation that spans more than 38 years, and we continue to assist injured North Dakota residents with their most complex car crash cases. No matter the circumstances of your accident, our attorneys are prepared to fight for your rights as we guide you through the legal process to get the compensation you deserve. It is a common misconception that compensation is not available for victims struck by an uninsured driver. We know that compensation may be possible under your uninsured motorist/underinsured motorist (UM/UIM) coverage. The limiting factor is the policy limit on your UM/UIM coverage. To collect the full amount of damages, your policy must be greater than the liability insurance of the driver who hit you. For example, if you have $25,000 per person/$50,000 per accident coverage and the other driver is uninsured, your insurer will cover your losses, but only up to the limit of your policy. If the other driver is underinsured (e.g., the state minimum of $25,000 coverage, but your losses were $40,000), you are on the hook for the difference unless your own UM/UIM policy goes that high. If your insurer does not offer to pay under UM/UIM coverage or resists a legitimate claim, you may have a bad faith car accident claim against the company for additional damages. 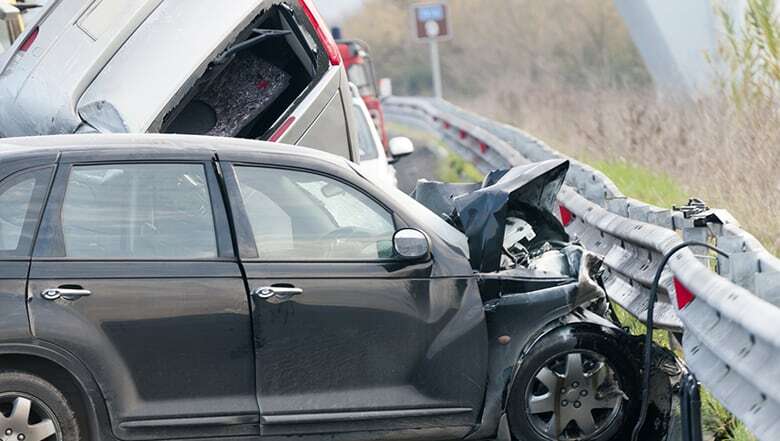 Our skilled North Dakota auto accident attorneys have battled against the largest insurance companies in numerous cases of disputed car accident claims. If you were hit by an uninsured motorist, trust our legal team to advocate on your behalf. If your accident involved a state employee, such as a collision with a state fleet vehicle, you must act quickly. The state of North Dakota requires a notification of claims within six months following the accident. The dust will have barely settled before you lose your right to sue for damages. It is important to get legal representation immediately. We have handled numerous claims against the state, and we know how to ensure that your case meets all procedural requirements. For skilled legal representation with integrity, count on the legal team of Larson Law Firm P.C. Contact us to schedule a free initial consultation via our contact form, or call us toll free at 701-484-HURT. From our office in Minot, we proudly represent clients throughout Ward, Williams, McKenzie, Pierce and Mountrail Counties. Call us today to learn how our skilled lawyers can help you after a car crash.